Sicam 2018 is about to start! We will be in Pordenone from the 16th to the 19th of October, which means you will be able to find us during the entire exhibition. Many of our suppliers will also be there. Feel free to print this news and use it as a guide during the exhibition! Interzum 2017 is here! 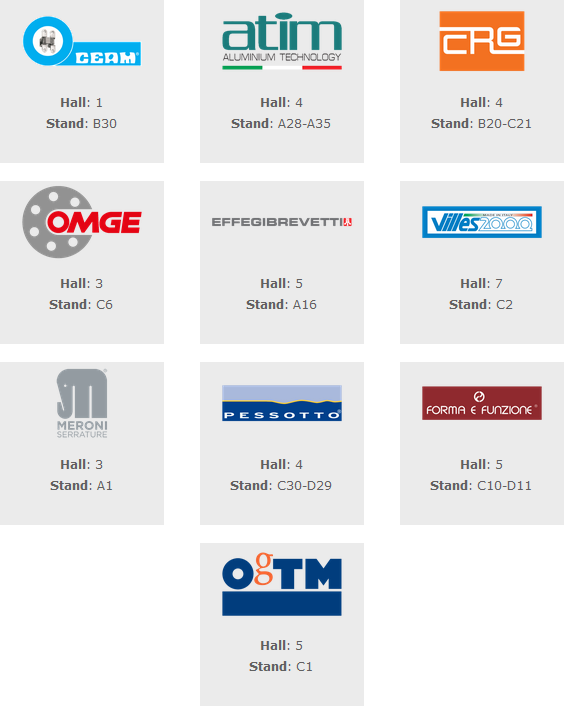 You can find us in Cologne from the 16th to the 19th of May, during the whole exhibition. Many of our suppliers are here too. You can find the entire list of our suppliers' locations at this link! Sicam 2016 News page is now online! Have a look at it here to discover all the great news from our suppliers!